Leisa Zakeri, MSc, BA (hons), MBPsS ; Advanced Mickel Therapist; Supervisor and Trainer. “I never get angry” I explained to Dr Mickel as I sat in front of him six years ago. Little did I know the negative impact this unconscious habit of suppressing emotions was having on my physical body. During the first session Dr Mickel handed me a piece of paper with a message on it – ‘My symptoms are here to tell me to stop running from emotions and start responding honestly to them’. The realisation of what I had been doing to myself for years all of a sudden hit me like a big slap in the face. His theory fit in with my life story and my gut knew it. In that moment I realised that my body was a reflection of the sum of my life experiences to date. 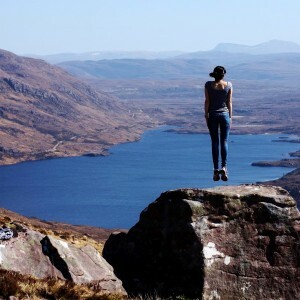 Along with a sense of relief that he could help guide me, came a surge of secondary frustration, guilt and shame – ‘What on earth have I done to myself?’ However, Mickel Therapy is about taking responsibility without blame. No one should be blamed if they succumb to illness, but I came to realise that the more I learnt about myself, the less prone I was to becoming passive. I had not suppressed emotions for years on a conscious level – I was completely oblivious to the detrimental emotional and behaviour habits that had become the norm. At a young age I was taught (on an unconscious level) that certain emotions should be suppressed, especially anger. I became the ultimate people pleaser, the yes person, always striving to ‘keep the peace’ and make sure everyone else was ok. What happened could be described as the paralysis of negative emotions, especially anger. These behavioural patterns continued into my adult life and as a result I paved a path that did not allow me to express my authentic self and in turn my emotional pot continued to fill. It got to the point where on some level I experienced what could be described as an emotional ‘shut down’, I was being guided through life solely by my ‘head’, paying no attention to my body’s wisdom and kept stuffing those pesky emotions in my overflowing pot. It was only a matter of time before the pot was going to blow – for me M.E. was a time bomb waiting to happen! The pot blew at the age of 26! My body eventually said NO in the form of chronic physical illness. The physical sensations in my body, which were a protective mechanism, merely trying to grab my attention to warn me that I wasn’t being true to myself became louder and LOUDER and LOUDER to point where I had no choice but to stop and listen. I lost my health, my job, my independence and worst of all my sense of self. I was eventually diagnosed with M.E. and atypical facial pain. The best part of a year was spent either in bed or lying helplessly on the couch. I experienced a long list of debilitating physical symptoms, the worst being a chronic fatigue that on some days made walking 5-10 minutes a battle that I lost. Fast forward six years…..thanks to Mickel Therapy I have returned to full health and completely turned my life around. I can now do all the basic things that I struggled with back then – walk, shower, cook. I have also returned to full time work in the world of Psychology in a role that covers the North of Scotland. At one point, I never thought I would be able to work again, let alone have a job which involves travelling. On my journey of recovery through Mickel Therapy I have learnt that while experiencing M.E. was the loss of me, the recovery from M.E. was the re discovery of me. A better version of a me, one that embraces emotions as a guide and as a result allows me to embrace authenticity. I no longer see negative emotions like anger as taboo but instead a call for action. My emotional brain centres now lead the way and my ‘thinking brain’ has been kicked into second rank, as it should be. I can now honestly say M.E. was not only the worst but the best thing that ever happened to me. This may seem like a controversial statement but illness for me was a great teacher and it had the ability to profoundly shift my perspective on life and change the way I interact with my environment. It forced me to look within and it gave me back myself. For this I am eternally grateful. I made a promise to myself when I was unwell that I would shout loud about any intervention that assisted me in regaining my health. I spent close to ten thousand pounds engaging in both conventional and unconventional treatments that had little or no effect. Therefore, in a week dedicated to M.E. awareness I would like to shout about Mickel Therapy and give people hope. Mickel Therapy not only helped me to recover but it continues to help me sustain my health and live a happy fulfilled life. It has had such an impact that I feel it would be a profound disservice to the M.E. community not to share my experience and assist in the quest to inform people of the links between emotions, stress and physiology. 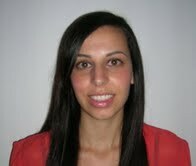 Leisa Zakeri, MSc, BA (hons), MBPsS Advanced Mickel Therapist, Supervisor and Trainer. Thank you Leisa for this most excellent article. Happy to be able to say that my own story – my ‘awakening’ and return to full health – mirrors yours. The world so desperately needs to know that there IS a way out of M.E and the other ‘energy disorders’. That way is Mickel Therapy. I am also grateful to Mickel Therapy. I suffered from ME for nearly 18 years with a slight break. Now I can lead a normal life for being in my 70’s.